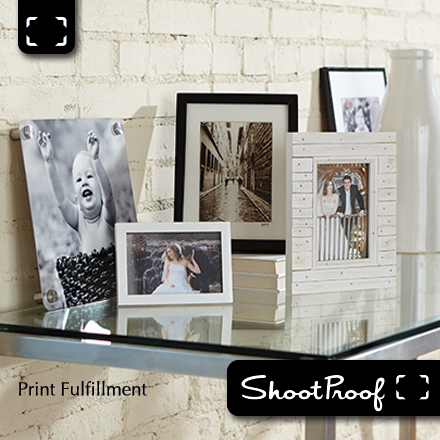 * Deal is for NEW ShootProof members only. * Includes all features plus 30 days to the optional Triple Scoop Music subscription. * Deal is for 5,000 photo plan for 1 year term. Plans can be upgraded at any time, and the prorated $200 retail value will be applied to any upgrade. * Deal must be redeemed within 3 months of deal close. Share up to 5,000 photos at a time with your clients in unlimited event galleries. Fully customizable shopping cart and optional payment processing. Print and digital download fulfillment is available. Create an unlimited number of Mobile Apps for clients. No commissions on your sales - this deal price is all you will pay for an entire year! 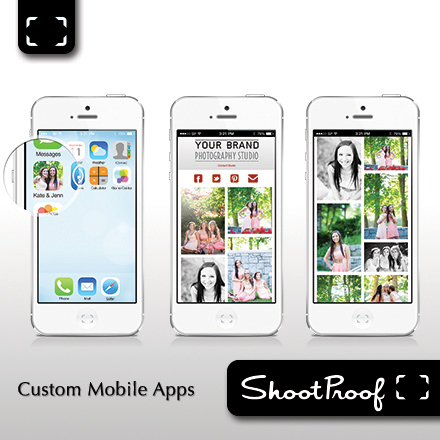 ShootProof is an online photo proofing service helping photographers upload, share, and sell their photos online as well as create custom digital albums for their clients’ smartphones and tablets. The clean design of ShootProof means that your clients focus on your brand and their images. Best of all, your print and digital sales are all commission free, and you control the products offered within each gallery. ShootProof offers flexible digital download delivery under your control, including simple one-click digital downloads or downloads that you sell, depending on your client arrangement for that gallery. You can even have clients favorite images and then simply email them a download link to their favorites through ShootProof. Promo codes can also be created for a set number of free or discounted downloads. 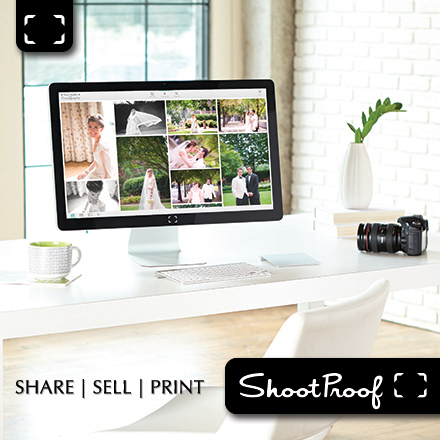 Upload your photos into secure galleries from your desktop or export directly from the ShootProof Lightroom Publish Service. Clients can then view their images in our secure galleries, select their favorites, and purchase photos through your fully customized shopping cart. Email marketing tools are built-in and under your control to help drive clients to your galleries and increase your sales. ShootProof’s optional credit card processing is super simple to set up, or you can integrate other supported merchant account types to accept payments online. Print fulfillment is available through Bay Photo, Black River Imaging, ProDPI, HC Pro (Australia), The Lab Works (Canada), and Loxley Colour (UK coming soon!) without the hassle of placing your orders through ROES. Self-fulfillment is always an option as well, giving you the flexibility to sell through ShootProof, but manually fulfill orders with any lab of your choice. 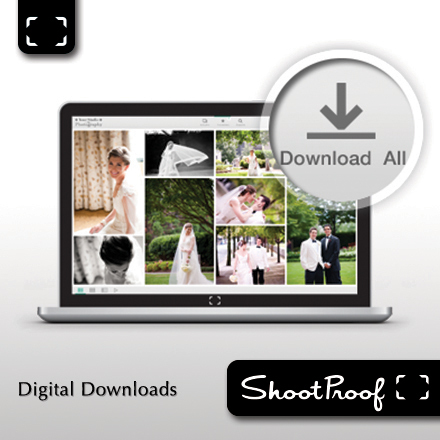 ShootProof can deliver digital downloads automatically to your clients, if enabled, with the option to specify what size files they receive. 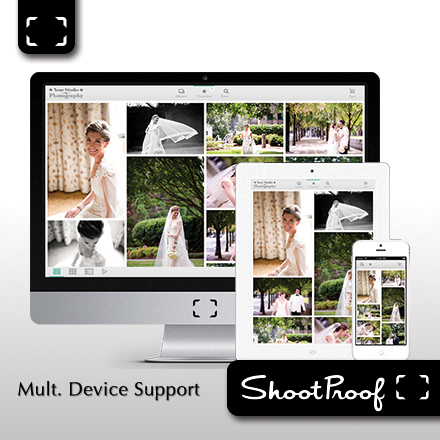 ShootProof also offers photo archiving as an inexpensive backup solution. With tens of thousands of photographers in 27 countries and client galleries available in 11 languages, ShootProof has proved to be the best way to share and sell photos online. With this plan, you can host up to 5,000 photos at a time for the entire year for only $89, and know that every dollar you sell is yours to keep. If you need more space, you can upgrade at any time (with the prorated retail value of $200 applied). "You guys are seriously amazing, so helpful and blazin' fast every time I have a question. Thanks for making my job easier!!! - Mel Barlow & Co.
Redemption instructions are available immediately after purchase in your "My Stuff" tab here on Photo Deal Cafe (click on the "Print" link to view).